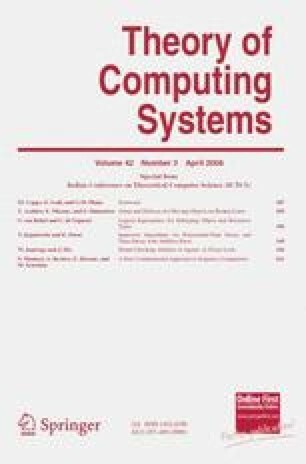 This paper studies the following variant of the Vehicle Routing Problem that we call the Grasp and Delivery for Moving Objects (GDMO) problem, motivated by robot navigation: The input to the problem consists of n products, each of which moves on a predefined path with a fixed constant speed, and a robot arm of capacity one. In each round, the robot arm grasps one product and then delivers it to the depot. The goal of the problem is to find a collection of tours such that the robot arm grasps and delivers as many products as possible. In this paper we prove the following results: (i) If the products move on broken lines with at least one bend, then the GDMO is MAXSNP-hard, and (ii) it can be approximated with ratio 2. However, (iii) if we impose the “straight line without bend” restriction on the motion of every product, then the GDMO becomes tractable. Y. Asahiro’s research was supported in part by Grant-in-Aid for Young Scientists 15700021, and Research on Priority Areas 16092223. E. Miyano’s research was supported in part by Grant-in-Aid for Research on Priority Areas 16092223. Presently, S. Shimoirisa is with the Software Development Engineering Department, Products Development Center, Retail Information Systems Company, Toshiba TEC Corporation.